Welcome to the website for the Southeast Florida Area of the Order of Malta. The Order of Malta is a lay, religious order of the Roman Catholic Church, which seeks to glorify God by promoting the sanctification of each member through his or her work with the sick and the poor and witness of the Catholic faith. 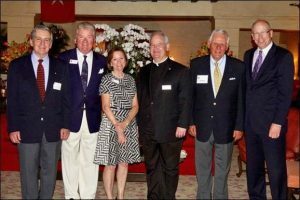 This is one of over 30 Area groups of the Order of Malta, American Association USA, created in 1927.